Believe it or not this is my day job. I get paid to produce content for the Web, writing mostly about technology in all its forms. This means my working day consists of two things – reading and writing. The reading part is easy. I just head online and consume information, some destined to be used for specific articles, more to act as background fodder lurking away in my subconscious to be pulled out when needed. But the writing, well, that’s a little tougher. I’m not saying writing for a living is a difficult job. Writing in all its forms is an absolute pleasure. However, I’m not a natural typist, and have got by to this point without being adept at touch typing. I don’t quite hunt and peck, instead using a selection of fingers which have learned where the keys are despite my hands hovering far above the keyboard. This does make typos a rarity Why Typos Always Matter, Even Online & In Text Messages [Opinion] Why Typos Always Matter, Even Online & In Text Messages [Opinion] We all make mistakes from time to time. It's natural, a part of life, a learning curve which we use to better ourselves. Typos are no exception. They happen often, and if writing forms a... Read More , but it’s not ideal. It’s time to do something about this. It’s time to learn how to touch type. But how? 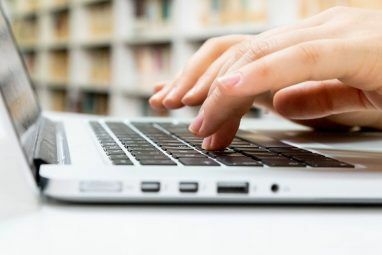 By choosing an online and free typing tutor from the following list of six popular typing tutors listed as extensions in the Google Chrome Web Store. Layout: Simple and minimalist, with the option to remove extraneous elements. Everything is easy to find, easy to understand, and not crowded out by adverts. Lessons: There are five sets of lessons, including letters, numbers, and quotes. Each has numerous lessons available, and they get progressively harder. Levels: There’s a clear learning curve and the rate of progression is one that will encourage while still providing a challenge. There are also various ways of charting your statistics. Overall: The polished feel, number of options, and extra little touches means Type Fu is a joy to use. Layout: A little confusing, with the small box containing the quote you’re meant to copy being surrounded by unnecessary detritus. It works, but it isn’t pretty. Lessons: There’s a distinct lack of variety with the lessons, as they all comprise of short quotes from famous people. This is great for measuring and improving typing speed, but not for learning how to touch type. Levels: There are no levels as such, instead you choose a quote and type it out. You’ll then informed of the speed and the number and type of mistakes made. Overall: It does what it says on the tin, but nothing more. Great as a one-off WPM tester, but offers little beyond that. Layout: A lot of work has been put into how Type Scout looks and feels, but the changeable backgrounds are usually a hindrance rather than a help. The options are a little confusing to navigate. Lessons: There’s a good variety of lessons, with various modes on offer. The highlight is Typetris (yet another Tetris variant Fall Head Over Heels With The Best Tetris Clones To Play Online [MUO Gaming] Fall Head Over Heels With The Best Tetris Clones To Play Online [MUO Gaming] Tetris is fast approaching its 30th birthday, having originally been released in the USSR in 1984. What's absolutely amazing is that Tetris has lost none of its appeal in those three decades, gaining new fans... Read More ), which sees you hitting the right key before it reaches the bottom of the screen. Levels: There is a clear and defined learning structure in place, but sadly only registered users can save their progress between sessions. Making it hard to recommend to casual users. Overall: Good for beginners but nag screens reminding you that you need to pay for the advanced features will put most people off. Layout: The lesson select screen is laid out in a sensible order, and the actual typing screen removes everything but the keys you’re meant to hit and the fingers you’re meant to hit them with. Lessons: There are 100 levels in all, split into sections by their difficulty. You begin by learning the position of each letter, before numbers and symbols are added to the mix. Levels: You have to create an account in order to save your progress between sessions, which is annoying but not the end of the world. Various stats are then tracked, including your average and best WPM. Overall: TypingClub offers a regimented lesson structure overlaid by fine design sensibilities. Which is all positive. Layout: The lesson select screen is clear, concise, and easy to navigate, while the typing screen is well laid out, if not a touch on the small side. The ads, particularly during loading, are annoying. Lessons: The lessons are split into several sections to allow individual users to find their appropriate starting point. There are also specialty lessons to add variety. Levels: Again, you have to create an account in order to save your progress and to see your skill level. Thankfully it’s all free, so it just depends whether you want to provide the necessary information. Overall: While TypingWeb offers a good experience, it’s a little dull and by-the-numbers. Which will appeal to some more than others. 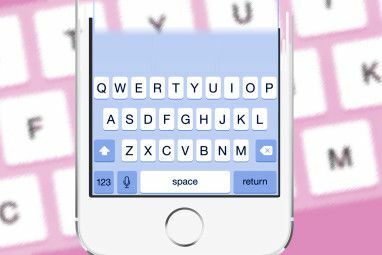 Layout: Typing Tutor is about as simple as it gets, with one screen being all there is to it. You select your lesson and then begin. Unfortunately the animation is outdated, and the ads encroach on each side of the keyboard. Lessons: There are 16 lessons in all, with different letters gradually being added until the whole keyboard is literally at the end of your fingertips. There’s a distinct lack of excitement or variety on display. Levels: There are no stats tracking your progress through the course or revealing your WPM count. Overall: This is an extension only for the purists who need a refresher course in where to position their hands for extensive typing sessions. KeyHero is great for a quick fix of checking the number of words you type per minute, but as a free typing tutor it’s a toss-up between TypingClub and Type Fu. I’m personally going to stick with Type Fu for the time being because it offers a great user experience without any need to sign up for an account or pay a subscription fee. 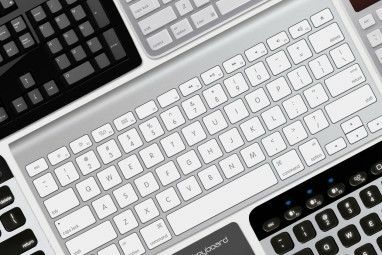 If none of these touch typing courses is quite right for you then there are plenty of other online resources Learn How to Touch-Type With These 8 Top Tools & Tutorials Learn How to Touch-Type With These 8 Top Tools & Tutorials Learning how to touch type could mean the difference between 10 words a minute to more than 40. That could also mean the difference between adding half a day to your productivity. Or, more than... Read More to try before you give up. Do you touch type or are you eager to learn how to do so? 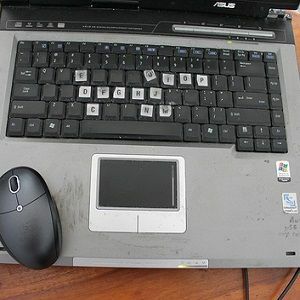 Is there a website, program, or app that has helped you gain authority over the computer keyboard? As always let us know your thoughts in the comments section below. Type Fu is only free for 3 days, a trial version, then you need to play 5$. As a cs undergrad I knew I had to know how to proficiently touch-type. So last year during my summer break I did some online research to find touch-typing lessons and found gcflearnfree.org/computers/typing. In two months time I was clocking a meager 40 wpm. I was satisfied as I had finished the course and discontinued the program. Since, I have slightly increased my wpm to 50+ without any programs. This summer I am hoping to top 80+ wpm solely through games. As a Keyboarding teacher, it is great to see some different options that I can offer. I typically have used http://www.freetypinggame.net, but these look to be some great alternatives. Can't wait to give them a try. I've been using the Mac app version of Type Fu! I didn't realize this until checking out the web version, but the desktop version recognizes other keyboards you have active. For example, I have been trying to learn the Workman layout, but because it is not a popular alternative, none of the typing tutors could help me learn that way. Anyways, the web version doesn't support the Workman layout, but my desktop Type Fu does. I'm guessing that it recognizes that I have the software keyboard and is able to support it somehow through that. None of the other typing tutors I've tried do that, online or desktop. Thanks for the solid article. Thanks for the added information regarding Type Fu. It's certainly the best of the bunch, at least in my opinion. I could really use this.I didn't take typing in High School.This could be a big help. I'm very fast with typing, but have my own system. I tried to do it the "official" way, but no chance. If you're fast enough, don't change. I can certainly appreciate that point of view. As I said in the article I have my own system which is certainly fast enough, but I'm more concerned at what it's doing to my fingers. Touch typing means your wrists, hands, and fingers remain straighter at all times. Great sites for someone new to typing. I know I only took typing in high school for one year and most of it came naturally back. I still tend to only use 4/6 fingers and my one thumb but I'm pretty fast. Not as fast as one who types at work every day but much faster than my friends. If I was changing careers I might take up one of these sites to go back to using all fingers and to increase my speed. Give it a week first and then see which method is faster. You may be surprised at the results.